Clammy, crock-jammed wetlands in Australia, a cop accused of abducting a 13-year old girl, a quirky tattooed convicted murderer turned private eye, and a sweet brood of downy baby chicks combine to make Crimson Lake a refreshing take on the thriller genre. 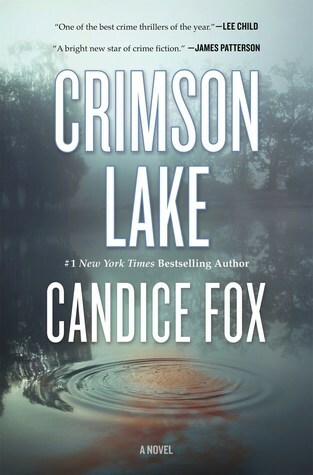 At its core, Crimson Lake is about two broken people who come together to solve the disappearance of a local author. While solving his case, they unearth the truth about their own lives and crimes. There’s an unexpected gentleness to this book—a softness that evokes feelings not typical in the suspense/thriller genre. I felt more with this book, more broadly—and I loved that. There was a humanness to Crimson Lake that made it feel as much straight up contemporary (dare I say Women’s?) fiction as suspense. Altogether, the book is a complex, beautiful and page-turning read. Fox is clearly a master at her game. Crimson Lake is expertly crafted, the cast of characters is wholly delicious, the storylines are juicy, and the pace? Rapid-fire!